This is it! And by "it" we, of course, mean corporate synergy, as Sony Pictures Entertainment and Sony Computer Entertainment Japan reach across the cultural divide to bring America's late King of Pop to the island of Japan in the form of a bundled Blu-ray and "Special Pack" PlayStation 3 SKU. But this bundle isn't as off the wall as you may imagine. 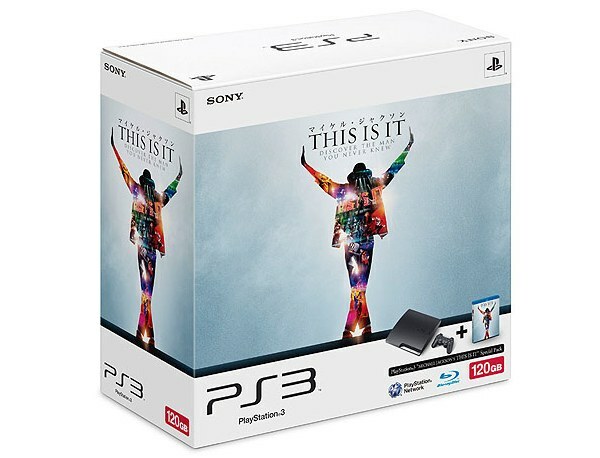 It won't heal the world or rock with you, but if MJ fans wanna be startin' somethin' with the PS3, you really can't beat it. Your ¥33,500 nabs you a Blu-ray of last year's behind-the-scenes cash-in and a 120GB PS3 Slim in a "limited offer" package beginning January 27 – sorry, no choice of black or white. Oof, that last one was bad.